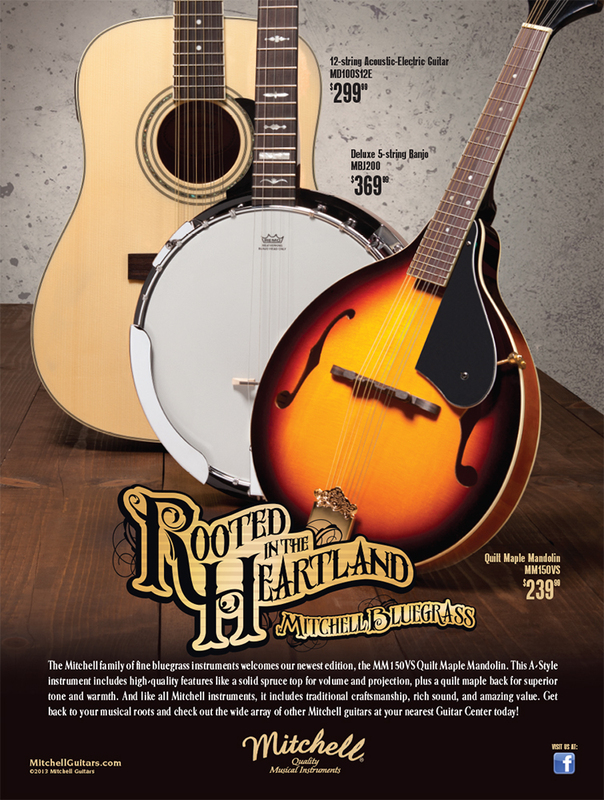 Ad and poster for Mitchell Guitars Bluegrass instruments. Responsibilities: Art direction of the photo shoots, retouching of image(s), ad design/layout, and preparation for release to various print publications. Printed in: Guitar Center Buyer’s Guide and used as a poster in-store for Guitar Center nationwide.